Is it possible to be too pro-Israel for some Jews? Apparently, it is - given the hyperventilated response to President-elect Trump’s nomination of David Friedman to be the next U.S. ambassador to Israel. I understand that Friedman has made some remarks that do not comport with the views of many on the opposite end of the political spectrum. They also seem to have upset some Jewish former diplomats, Daniel Kurtzer and Martin Indyk, who hardly are in a position to criticize given that they were viewed by some as more sympathetic to Palestinian concerns than to Israel. Trump is entitled to choose the foreign policy team that he wants to represent him. Yes, they should be vetted by Congress, but it is folly to believe that rejecting this nominee will lead Trump to choose replacements who would be amenable to Friedman’s critics. The good news is that Israel has the bipartisan support of the majority of Americans and the Congress. Though Trump has not yet laid out a broad vision for his Middle East policy, his statements on Israel are consistent with the positions of the majority of the pro-Israel community. So, why the uproar over Friedman? Israel has a right to annex parts of the West Bank. The United States should recognize Jerusalem as Israel’s capital and move its embassy from Tel Aviv to Jerusalem. Friedman has compared J Street to Jewish kapos, who collaborated with the Nazis at concentration camps. Let’s consider each position based on the facts rather than partisan mud-slinging. First, Friedman is absolutely correct in asserting Israel’s right to construct settlements. No agreement precludes Israel from doing so. In fact, the Oslo accords signed by the Palestinians did not require Israel to stop building settlements; the issue was essentially punted until final status negotiations would be held. Since Oslo, all of the two-state solution proponents – with the assent of the Palestinians — have acknowledged that Israel would annex some settlements as part of a land swap allotting disputed territory in the West Bank to a Palestinian state. The discussion of a land swap recognizes that Israel has a right to maintain communities in Judea and Samaria. Israel’s right to build settlements and annex some or all of the West Bank is also rooted in the fact that the territories are disputed, not occupied. It is one of the great failures of Israeli diplomacy that the propagandists have been allowed to hijack the terminology used for describing this area. They have erased thousands of years of history during which the area was referred to as Judea and Samaria and replaced that historically accurate description with a term invented to designate an area relative to the Jordan River that was never a sovereign Palestinian state and never subject to Palestinian rule. No one I know disputes that Judea and Samaria were unlawfully occupied by Jordan between the 1948 and the 1967 war. Jordan’s annexation of the West Bank in 1950 was recognized only by the United Kingdom, Iraq, and Pakistan. So which legal entity did Israel illegally occupy it from? The vanished Ottoman Empire? The dissolved British mandate? Israel has as much right and a stronger historic, political, religious and geographical claim to sovereignty in Judea and Samaria than the Palestinians. When Jordan occupied the West Bank, the world stood silent and Palestinians never complained about it being occupied or demanded an independent state. Second, Friedman is absolutely correct when he says Israel has a right to build settlements and annex territory in the West Bank. Whether doing so is in Israel’s best interests is for Israel’s government to decide, not opponents of Israeli democracy. Israel has been even more patient in holding off annexation of some or all of the West Bank. Third, critics have attacked Friedman for saying that the United States should recognize Jerusalem as Israel’s capital and move the embassy to Jerusalem. This is actually the law, which Congress adopted in 1995. Unfortunately, Congress made the mistake of providing the president a loophole to ignore the law, and the State Department has succeeded in convincing successive presidents to abandon their campaign pledges to move the embassy on the spurious grounds that doing so would threaten national security. Unlike his critics, Friedman has the law on his side. He also has the foresight Palestinian apologists lack, namely, the understanding that by recognizing Jerusalem as the indivisible capital of Israel, the United States will shatter the Palestinian fantasy of someday controlling Jerusalem. The pro-Palestinian and anti-Israel house of cards will then collapse as the refugees realize they will never return to homes they claim in Israel, and the PLO, Hamas and other terrorists’ hope to liberate Palestine from the river to the sea will be broken once and for all. There is a nearly 70-year record of State Department incompetence in the Middle East. This includes an archive full of failed peace initiatives pushed by often well-meaning officials who simply refused to accept that the obstacle to peace is not Israel’s “right-wing government” and it is not the “occupation,” and it is not settlements. The obstacle to peace is the refusal of Palestinians to accept the right of the Jewish people to self-determination in their homeland. They have maintained this position while rejecting offers of statehood or routes to independence in 1937, 1939, 1947, 1979, 1993, 2000, 2008 as well as the last seven years when they refused to negotiate with Israel despite having a President extremely sympathetic to Palestinian positions. And, incidentally, the settlement movement would have been stopped in its tracks at any of those junctures if the Palestinians chose peace over irredentism. So, if you want to blame anyone for the growth of settlements, you should start with Yasser Arafat and Mahmoud Abbas. Finally, let me address the least substantive criticism of Friedman and that is the anger over his description of J Street as the equivalent of Jewish kapos. I will agree that this language was unacceptable and inappropriate. Nothing short of genocide should be compared to the Nazis. The point he so indelicately made was consistent, however, with the views of those who do not consider J Street pro-Israel or pro-peace. Rather, J Street reflects the belief of some government officials and Jews on the extreme of the political left that Israelis don’t know what’s good for them and that their democratic process should be replaced by the judgment of Americans living safely 6,000 miles away. Donald Trump has made clear he wants to strengthen, not weaken, the U.S.-Israel relationship and he has chosen an ambassador to Israel well-suited to carrying out his policy. This story "David Friedman is a Great Pick for U.S. 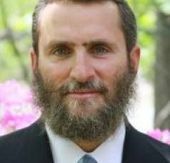 Ambassador to Israel — Here’s Why" was written by Shmuley Boteach.